Hi, My name is Courtney Milner and I am your new school counselor! You may not even be aware that we have a school counselor at our school every Monday and Thursday, as well as every other Wednesday. 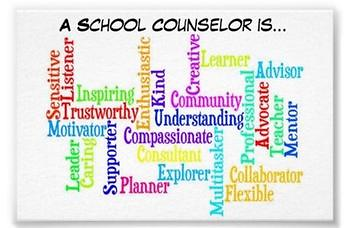 This is my 1st year as a professional school counselor and I could not be more excited to experience it with all of you! I am a single mom to a 17-year-old son who is a senior at SHS. We live in Tooele but should be moving to Stansbury Park soon. We have a rescue dog named Gordo. Some of my favorite things are photography, road trips, ice cream, crafting, and learning new skills. I love my job and the opportunity it provides to work with all our students, families, and teachers each day! The times we live in are exciting, challenging, and ever changing. Our children live in a diverse society with new technologies and many new opportunities every day. They need our support and guidance during the elementary years to prepare them for the unique challenges, both personally and developmentally, that will impact their academic achievement. Decision-making, communication, life skills, and character values all begin to develop during the elementary years. This is also a time when students attitudes toward school, self, peers, social groups, and family emerge. School counselors work together with teachers and parents to establish a comprehensive school counseling program that helps students establish themselves academically and socially. This same program provides prevention and intervention services for students so they may experience success at a young age. The skills that our children gain during their elementary years build a foundation for future success. * Please note that school counselors do not provide “therapy.” Information for outside counseling services is available for children and families who would like additional support. * If you would like to meet, please call or email so we can set up an appointment. * I do not answer the phone when I am with students or in classes, please leave me a voicemail. I will get back to you at the earliest convenience.